Things nowadays are becoming more high-tech from household products to cars. Now inventors have created an awesome electronic cigarette, the Vapin Plus liquid vaporizer pen. We all know that this kind of product is no longer new to us, as many use an electronic cigarette rather than the traditional ones. This reminds me of my relatives in the Philippines, when I was little. I remember one of my uncles smoked a lot. I noticed how much it would cost them to buy so many packs their usual cigarettes that their yard ends up of covered in cigarette butts. Their house also reeks with smoke scent due to the traditional cigarette my uncle used. Whenever I visited my cousins I can tell that my uncle smokes because of the strong smoke smell a traditional cigarettes carries, which would fuse in your clothes if you stayed long in their house. I just wish that electronic cigarettes were already invented sooner; that way whenever I hang out with my cousin, I don't carry that cigarette smell each time I come home. It is also cheaper and more environmentally friendly to use the electronic cigarette. I know someone who has recently changed from traditional to the electronic cigarettes, it is more convenient for him as he does not go outside the building just to smoke. The hassle of going outside during winter just to smoke is another extra effort because most premises do not allow smoking inside. As far as I know, it's safer than the traditional cigarettes. Plus, electronic cigarettes also come with designs that can be fancy in shape or form, depending on the kit you pick. 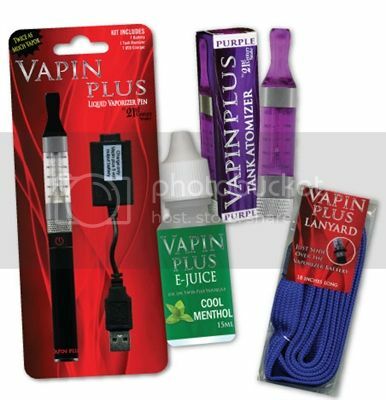 Vapin Plus e-liquid also comes with different flavors, that way when someone inhaled it is would not be that plain nicotine, but rather the kind of flavor you pick. It is cheaper as you only need a small amount of liquid into your electronic cigarette and you can start using it, and no more need for a lighter as it is rechargeable. So, if you wish to change and would like to try an electronic cigarette you can always shop one online and get great deals at http://www.vapinplus.com. I normally don't tolerate anyone to smoke however, they do have free will to choose what they can't and can do with life. Our society is really moving into high technology, even cigarettes is made electronic, this indeed makes life easy. My husband also smokes but he hides every time when he is smoking. I wish he will stop but it is a habit that is not easy to stop right away. I am glad that there is alternative for smokers out there. I guess it would a be a good alternative but like everything else, it will also have it's side effect on people. But there are studies done pointing to some negative effects of e-cigarettes.